In 2012, Scott Rankin decided to take his running a little more serious. What a good decision that turned out to be! He went on to set new personal bests at several distances as well as make a name for himself after an outstanding performance at the high profile Seeley Cup 10k, incorporating the Northern Ireland 10k Championships in Belfast (November 2012). Now, armed with confidence and renewed focus he aims to improve even further in 2013. We have absolutely no doubt that he will continue his rise towards the top tier of the Northern Ireland runners. What is your favourite Northern Ireland event? I really enjoy the ‘Jude Gallagher Round the Bridges’ 10 mile race, organised by Springwell Running Club. Limavady is where I grew up and to run on such a familiar and scenic course is always a great experience. I made my racing debut at this race back in 2008 and ran 1:02:30, so it also holds special memories for that reason. When did you start running? I started running when I was 14 years old, really just for enjoyment and fitness reasons. At my school (Lisneal College), athletics wasn’t a sport that the school participated in so it would be several years before I actually got the opportunity to race. Why do you run? I still run mainly for the same reasons, I enjoy it and it’s a healthy lifestyle to have. The sense of freedom you get when you are out on the open road alone is great and something that would be difficult to recreate. What is your next race and what do you want from it? 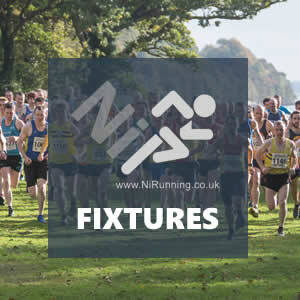 The next race that I’m doing will likely be the NI Junior/Intermediate Cross Country at the end of January. Being honest; Cross Country is the only aspect of running that I don’t enjoy but I find doing it gives me great strength and endurance for the coming road/track season, so that’s about as much as I expect from it. 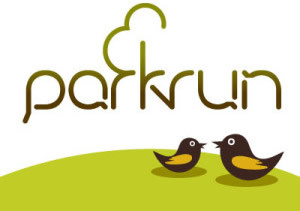 My next targeted road race will hopefully be the Armagh International 5k Road Race in February 2013, when I hope to finally dip under the 15 minute mark. What is your favourite training ‘session’? My favourite session would be doing a 5 mile or 10 km tempo run on the treadmill. I prefer to do this on the treadmill rather than on the road because I find treadmills ideal for pacing. If I feel like starting to slack off in the middle of the run, the treadmill will keep me honest. Surprisingly I dislike treadmills for slower paced runs but they certainly serve an enjoyable purpose for me regarding even paced tempo efforts. What is your favourite pre-race and post-race meals? For a morning race, I would have a bowl of cornflakes and a smoothie about three hours before racing. For an evening race, I would have something simple like a bowl of soup or light pasta dish three to four hours before racing. Post-race for me is all about food with high protein content. My favourite post-race meal would be a steak meal with all the trimmings. What is your running ambition? I like to set myself realistic goals and see where I go from there. Short term I hope to go under 15 minutes and 31 minutes for 5k and 10k respectively. Over the next couple of years I would like to do a lot more track races to see how I get on with middle distance stuff. I will stick mainly to distances of 10k and under until I have felt I have fulfilled my full potential and got the best out of myself before I may consider doing a marathon one day. What would you consider your greatest achievement in running to be? My greatest achievement so far in running would have to be my 3rd place at the Seeley Cup. Although my time of 31:38 was a little slower than I was expecting, the 3rd place finish more than made up for it. I made my Seeley Cup debut in 2009 where I broke 35 minutes for the first time for 42nd place and with this in mind I was delighted to get a place on the podium only three years later. 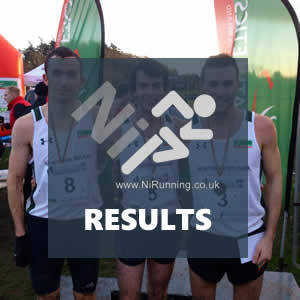 You have really stepped things up recently, with particularly impressive performances at the Seeley 10k and the North West XC. What would you put this down too? During 2012 I have took my running a lot more serious, with consistent weeks of higher mileage (ranging from 60-80 miles). Before 2012 I was always doing my sessions each week but what was letting me down was not doing long runs and all the miles that I now do in the days between sessions. Consistency is now a big thing in my running and I hope this will lead to an even more successful season in 2013. What other sports do you like? I have an interest in most sports but would tend to follow football and cricket closely. I love sport at a local level and would try and get to a couple of Limavady United football matches a month. I would also try to take in a few Bondsglen (my local cricket team) matches during the summer. I like to play a bit of golf and do the odd spot of fishing also.